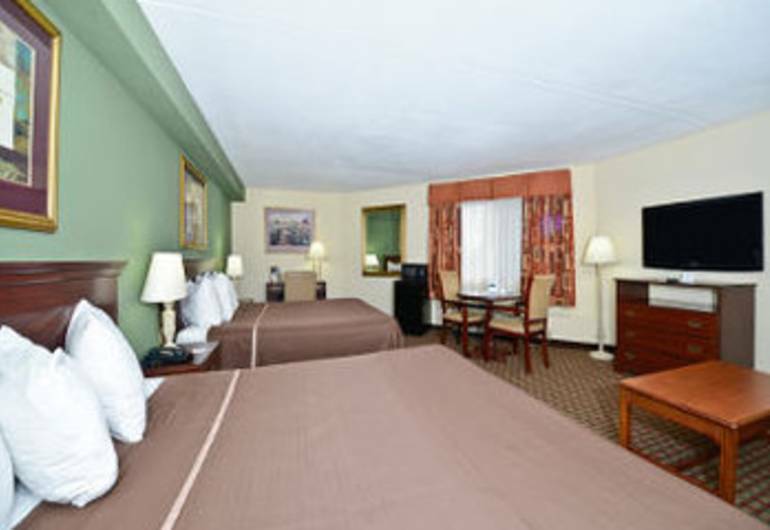 Get a warm welcome at our Howard Johnson Hotel – Newark Airport. 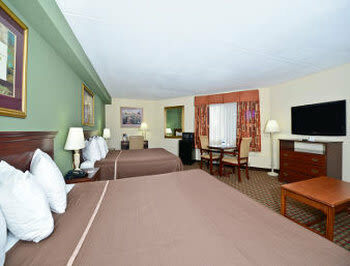 Conveniently located off Interstates 78 and 95, our hotel in Newark, NJ, offers easy access to New York City. Our hotel near the Statue of Liberty offers free Wi-Fi Internet access so you can plan your trip, and handy amenities including guest laundry facilities. Use your microwave and refrigerator to make and store snacks, stay active in our exercise facility and grab a bite to eat in our on-site restaurant. Handicapped-accessible and non-smoking rooms are available, and parking is available for a nominal fee. Kids 17 and under stay free with an adult.